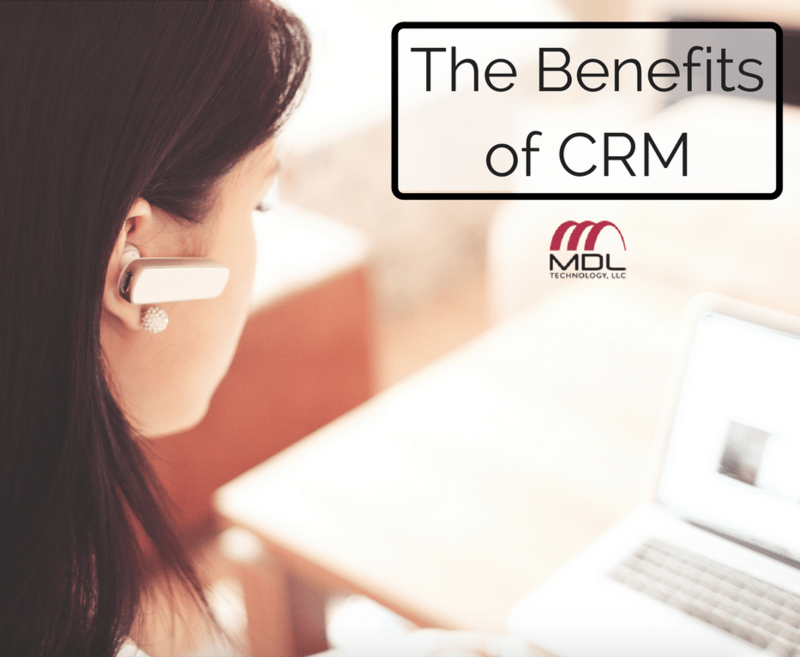 MDL Technology | Serve your customers better with a CRM tool and benefit your business. Innovative companies know the value of serving their customers well, and a CRM tool can provide more personalized customer service without the hassle of tracking conversations. If your business isn’t already using Microsoft CRM, now’s the perfect time to give it a try. CRM can help scale your business. CRM manages and organizes your customer data. One of the most basic functions included in almost any CRM tool is the ability to input and manage data about your customers and leads. This allows you to stay organized without having to create your own system, according to Small Biz Trends. CRM also helps you sell more effectively to a client, because whenever you are communicating with them, you’re aware of their history. A CRM tool ensures that your team stays on the same page. When a team member communicates with a customer or lead, they can then add the relevant information so other team members have the ability to access it, should they assist that customer in the future. This not only benefits team members, but it also makes a more positive experience for the customer. Trust us, we know it can be frustrating for a customer to have to give the same information each time they interact with a business. CRM helps you stay in touch. CRM gives you an easy way to stay in touch with customers and potential customers. Small Biz Trends says keeping in touch regularly can help you keep your business at the top of customers’ or prospects’ minds, increasing your potential ability to sell to them. One of the greatest benefits of CRM is that it gives you the ability to nurture leads. By organizing customer data and communicating regularly, nurturing leads is simple, which helps turn relationships into sales. If you are interested in how CRM can benefit your business, learn about our services.